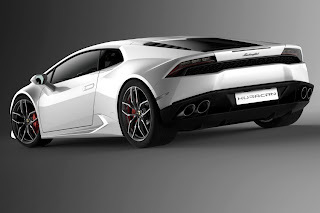 A new era is beginning for Automobili Lamborghini and the luxury super sports car segment - with the brand new Huracan Lamborghini is not only presenting the successor to the iconic Gallardo, but is also redefining the benchmark for luxury super sports cars in this segment. With its pure and unique design, an innovative technology package, outstanding dynamics and excellent quality, the Huracan offers a super sports car experience on a whole new level. The Huracan combines absolute performance with easy-to-drive road behavior and both luxurious and sport-oriented finish. With the Huracan, Lamborghini is taking a big step into the future, and enhancing the brand's illustrious history with the next automotive legend. Starting from January 2014 the Huracan will be the protagonist of over 130 private preview events in more than 60 cities throughout the world. The Lamborghini Huracan will make its world public debut at the Geneva Motor Show 2014.